There aren't enough food, service, value or atmosphere ratings for Island eats food truck, Wisconsin yet. Be one of the first to write a review! I wish they were open all year round. Freshly made, creative dishes served with pride. Curry anything wins with me. These folks are doing it right! Food made with just the best health-fullest ingredients. They make tasty healthy food that really energizes you. So quick convenient and healthy I just wish they were open more often! Currently the best value on Madeline Island for grubbin on the go. Located on the grounds of the burned down cafe this place had some very interesting choices. It was good stuff and has a little spice to it as well. Good bar eats. 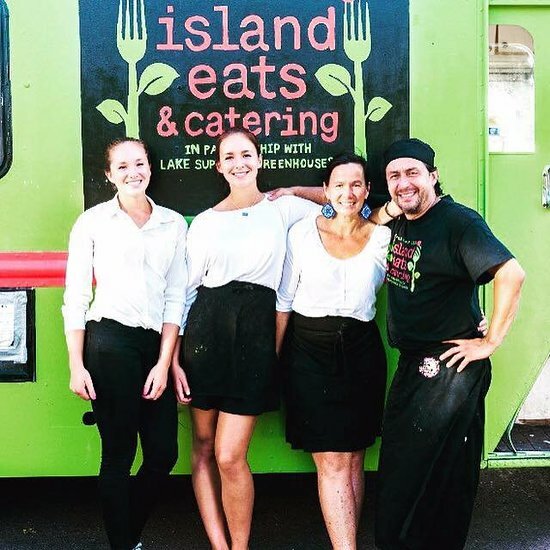 Get quick answers from Island eats food truck staff and past visitors.